The first big piece of paid DLC for Total War: WARHAMMER arrived yesterday. 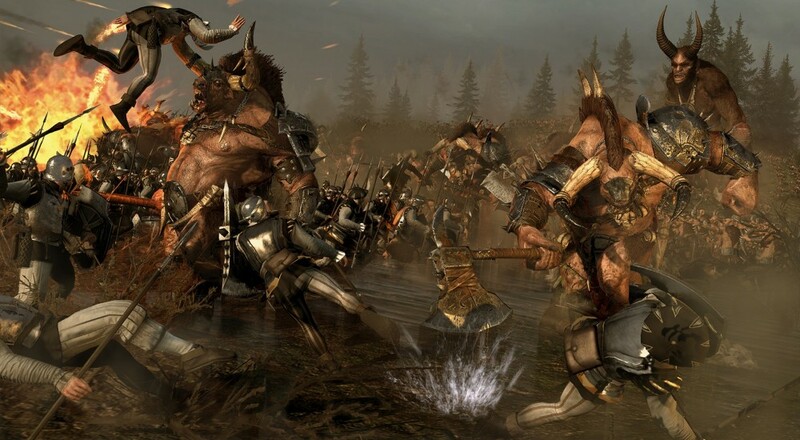 The "Call of the Beastmen" added a new playable race (the Beastmen) and a mini-campaign for them, but there was some content that found its way into the game as well. Even if you don't buy the Beastmen DLC, you can still play against them in the game's "Grand Campaign" mode. The new race mixes elements of the Chaos and Greenskin races, meaning you not only have to worry about them spreading corruption but also suddenly doubling their forces when they work up their rage meter enough. Along with that, a new hero for the Empire, the Amber Wizard, has been added that can ride a Griffon and wield the new Lore of Beasts magic, and a new Chaos lord, Sarthorael the Everwatcher, can be used in custom and multiplayer battles. You can read up on all the tweaks, fixes, and additions over on the Total War wiki. I played through the Beastman campaign yesterday and I really like what Creative Assembly has done with this new race. They have some very interesting mechanics and the mini-campaign acts, essentially, like a kind of tutorial. I wish the other races had something similar so you'd be able to get a feel for each of them and get an idea about what they're capable of before you attempt to take on everyone in the Grand Campaign. Page created in 0.5909 seconds.